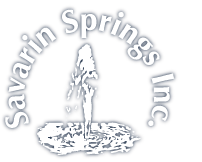 Fill Your Own Water Kitchener | Fill Your Own Water | Savarin Springs Inc.
Visit our store conveniently located at our bottling facility on 1575 Strasburg Rd. Kitchener. Pick up our spring, distilled or reverse osmosis water at discounted prices. If you prefer, you can fill your own spring or reverse osmosis bottles at a competitive rate. We have same or next day water delivery. Our water is tested daily by an independent lab. Our bottling machine, holding tanks and lines are 100% food grade stainless steel. With over 25 years in this business, we’ve cultivated a reputation for excellent customer service and courteous drivers.